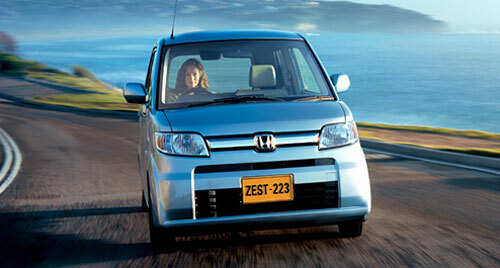 This is the Honda ZEST K-car, which went on sale in Japan from March 1st 2006 onwards. 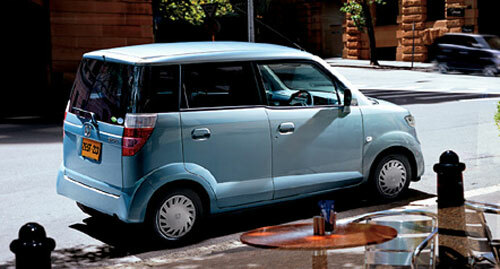 K-cars are popular in Japan as they provide superior fuel economy and are easy to park too. Engines are limited to 660cc capacity, and manufacturers usually use forced induction to give it a little more oomph, as 660cc in normally aspirated form can only go so far. The Honda ZEST comes with two engine options. The lower end model has a 660cc SOHC i-DSI normally aspirated making 52 horsepower at 6700rpm and 61Nm of torque at 3800rpm. The higher-end model features a turbocharged 660cc SOHC i-DSI engine making 64 horsepower at 6000rpm and 93Nm of torque at 4000rpm. 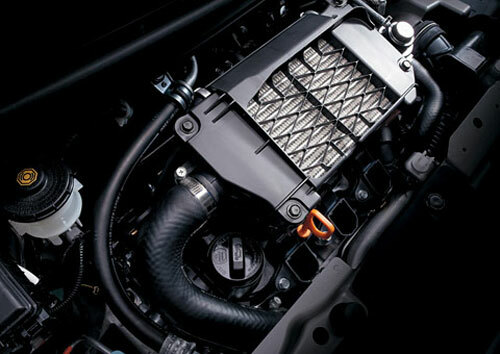 The turbocharged model features a top-mounted intercooler. Not too bad, as the car weighs 880kg for the lightest 660cc N/A model and 990kg for the turbocharged 4WD model. It’s not meant to be a pocket rocket in the first place. Honda quotes a few fuel efficiency ratings for each of the ZEST models, as they come in different engine configurations and FF or 4WD drivetrains. The full list including all other specifications is available here, but the most fuel efficient model is the Honda ZEST N-spec which gives you 19km per litre. On the other hand, the Honda ZEST Sports W-spec Turbo which is the turbocharged 4WD model gives you 15.8 km per litre. The same Honda ZEST Sports W-spec Turbo but without the 4WD drivetrain gives you 17.6 km per litre. The car comes in automatic variants only. The car comes with a 4-speed electronically controlled automatic transmission. I would have expected a CVT gearbox. For convenience like shopping, the Honda ZEST has a low-floor design, with the rear deck only 5.3cm off the ground. This allows easy loading and unloading of goods. 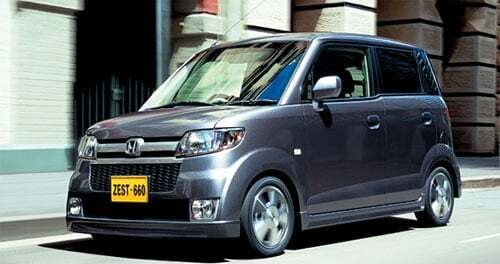 A tall roof combined with wheel arches positioned at the edges of the vehicle as well as a short nose ensures a large cabin space. 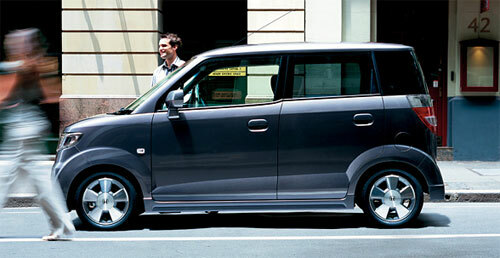 Maximum storage space is 739 litres with the rear seats folded. The doors open in 3 stages with different angles to ensure easier entry. The wide angle ensures easy installation of a child seat if needed.